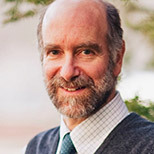 Jonathan Patz, MD, M.P.H., is director of the Global Health Institute at the university of Wisconsin-Madison. He is a professor and the John P. Holton Chair in Health and the Environment with appointments in the Nelson Institute for Environmental Studies and the Department of Population Health Sciences. For 15 years, Patz served as a lead author for the United Nations Intergovernmental Panel on Climate Change — the organization that shared the 2007 Nobel Peace Prize with Al Gore. He also co-­chaired the health expert panel of the U.S. National Assessment on Climate Change, a report mandated by the U.S. Congress.